The Royal Malaysian Navy’s Twitter account posted a photo of the Starstreak NG being fired from a Lightweight Multiple Launcher (LML). With Starstreak RapidRover and RapidRanger variants also present at the exercise, firing from these platforms likely occurred as well. The targets used were probably the Meggitt BTT-3 Banshee drone, for which Malaysian company Aerotree has a target services contract that includes the provision and use of Banshees. Malaysia ordered an undisclosed number of launchers in LML, RapidRover and RapidRanger configurations in 2015 in a deal worth approximately $130 million. Shephard understands that six RapidRanger systems mounted on URO VAMTAC 4x4 vehicles formed part of the contract. 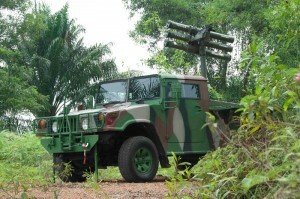 Malaysia’s RapidRover configuration is an LML mounted on a Global Komited GKM1 4x4 vehicle. 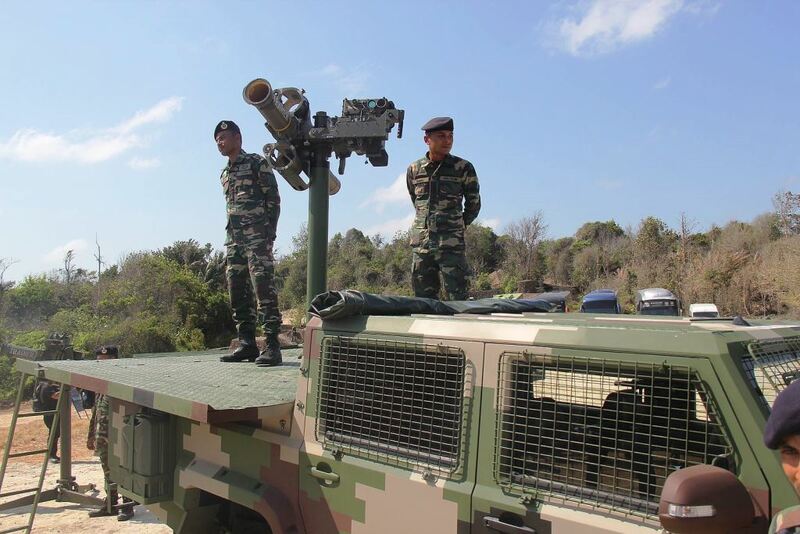 Photo credit: Asean Military Defense Review/The Global Komited GKM1 Starstreak LML-NG carrier prototype on static display at the Tanjung Logok Ground to Air Firing Range during Starstreak missile firings on 28 March 2016.